Attorney Kevin Pillion has received Accreditation by the Department of Veterans Affairs (“VA”) that enables him to give advice to and file benefit claims for all Veterans. Accreditation refers to “The authority granted by the VA to those attorneys who meet the established standards.” The Department of Veterans Affairs stated purpose in requiring attorney accreditation is to ensure that claimants for VA benefits receive “…qualified assistance in preparing and presenting their claims.” With this certification, Attorney Kevin Pillion has the distinction of being one of only a few attorneys in Southwest Florida with a VA Accreditation. To receive Accreditation, Federal law requires an attorney to complete an application and continuing legal education requirements. An attorney must also establish that he is of good character and reputation. The privilege of accreditation carries with it the responsibility to maintain specified standards of conduct and comply with the laws that govern VA representations, as set forth in the United States Code and the Code of Federal Regulations. 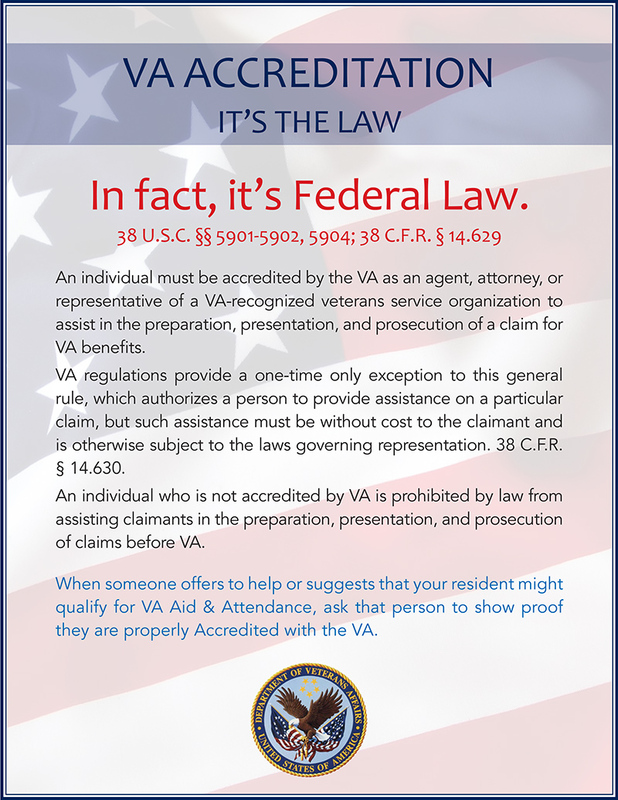 The VA accreditation system is designed to ensure that lawyers who represent VA claimants have a thorough understanding of the VA health and benefit systems, so that they may provide quality assistance in the preparation, presentation and prosecution of those claims.